In an day and age of potentially life-changing decisions to view properties, or not, being made at the push of a button it is vital to present your property to its fullest potential. Obvious to state but sometimes missed, properties that are more appealing to the eye are likely to attract more interest than those that are not. People are now viewing property particulars on high resolution 60'' screens, which is great if your property is beautifully presented and professionally photographed but not so if messy and dirty. So, it has become incredibly important for sellers and landlords to realise that the very first impression potential buyers and tenants will gain of their property will be created by the photos used in its marketing. And if the photos are to look great, then work to prepare the property for taking those is well worth the effort. Here at Butler & Stag we invest thousands of pounds to ensure we offer our clients cutting edge technology via our Visual Production department, guaranteeing that all of the properties we market are showcased to the highest possible standard. Our professionally trained photographers know how to extract best features from a property including favoured angles, lighting and each setting. Our knowledgeable sales and lettings agents are also on hand to advise our clients how to prepare a property in preparation for the photographers visit. You can help achieve that breath taking visual standard by dressing your home before letting or selling using the following guidelines..
-	Windows should be cleaned and hanging blinds/net curtains should be lifted to allow light in. - Personal belongings are best hidden. A viewer needs to picture themselves living in the property so create that perfect picture by removing magazines, clutter, books, food, drinks, toiletries etc. -	Don't forget about the outside. Front doors and window frames should be painted if wooden, lawns cut and paths swept. Hide recycle bins and rubbish bags. -	Clean all surfaces and flooring, tidying away cables, leads and anything that can detract your eye. - Move furniture to make the room look as large as possible. Create floor space and make sure doors can be fully opened. Create a beautiful focal point such as a vase of fresh flowers or bowl of fruit. Make some fresh coffee or bake some bread to create a welcoming aroma. 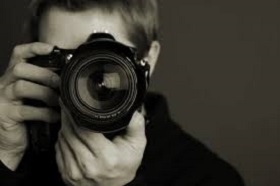 -	If you have a favourite view of your property's exterior or interior, tell the photographer and ask them to capture it. Chances are it will have similar appeal to your potential buyers too. Night shots are also great idea particularly of the City illuminated. -	Make sure all light bulbs are working - especially low-voltage down lighters. When one or more of those are broken they'll stand out like a sore thumb. If you have them, picture lights, too, are very effective at creating visual interest - but only when they are working. -	Towels look their most luxurious when they are folded on shelves or other surfaces, never let the photos be taken when they're hanging over the side of the bath. If towels are hanging on towel rails they need to be presented neatly. Towel colours should complement the decor. If they do not, then it is best to remove them. Shower screens should be clean, if possible. -	Toilet seats should always be down!